To say that I’ve been waiting 13 years for THIS moment would be an understatement. The truth is, I’ve been waiting my whole life for THIS moment. Ever since I first laid eyes on Disney Pixar’s Finding Nemo, I knew this movie would forever change my life. I’ve decorated my nursery in Finding Nemo. Twice. And then my bathroom (because I couldn’t let go of the decor). And “Just Keep Swimming” became more than just a movie quote, it IS my life mantra. And now 13 years later, the sequel I’ve been dreaming of is coming to theaters…finally. Finding Dory. I may or may not have been counting down the days (it’s 16 days, just in case you were wondering) and watching Finding Nemo on non-stop repeat in anticipation of MY movie of 2016. And then, cue pixie dust. I just returned from Disney Social Media Moms and received the email of the year. Yes, the year. Finding Dory. Red Carpet. Ellen. Tears, friends. Nothing but happy tears. Disney was calling, and I screamed in their ears. And now, I’m packing for the most memorable blogging moment of 2016. 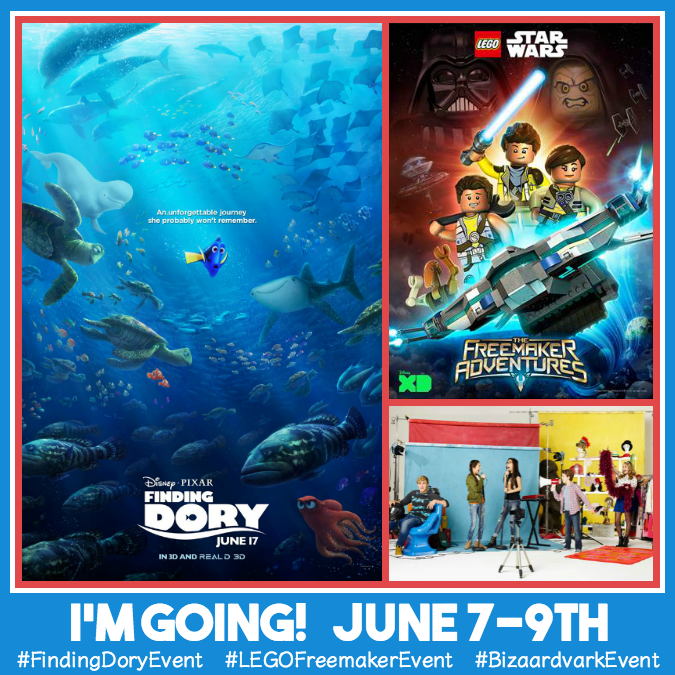 I am heading out to L.A. yet again with 24 blogging friends on June 7th – 9th for the Finding Dory Red Carpet Premiere. We will be walking on the Red Carpet at the Disney Pixar Finding Dory Premiere. My 2nd red carpet event, I’ll be sure to capture all of the amazing moments, star sightings and activities as we go. And Lall Dass is back by popular demand and has promised yet another amazing red carpet dress, especially after the amazing Cinderella Red Carpet Premiere. 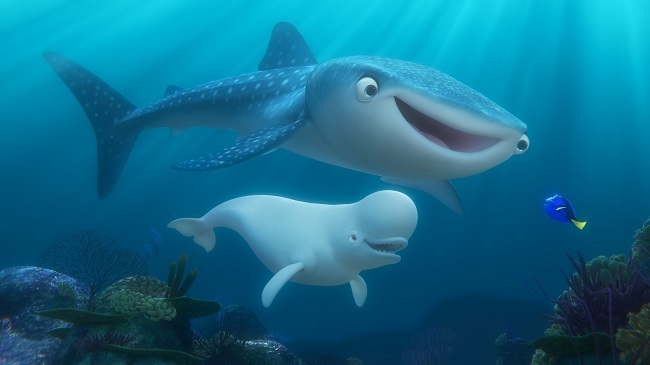 We will interview the amazing talent and filmmakers of Finding Dory. 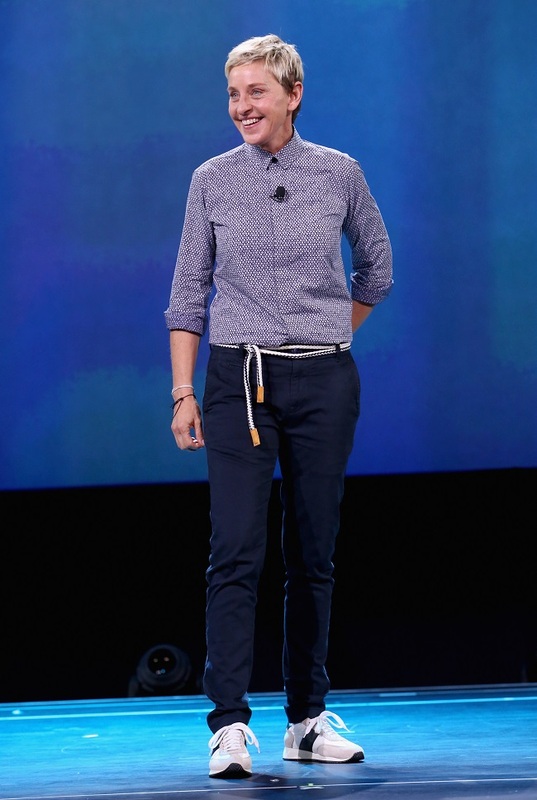 Ellen, folks. My best friend ELLEN DeGeneres will be there and more TBD talent. And that’s not all. 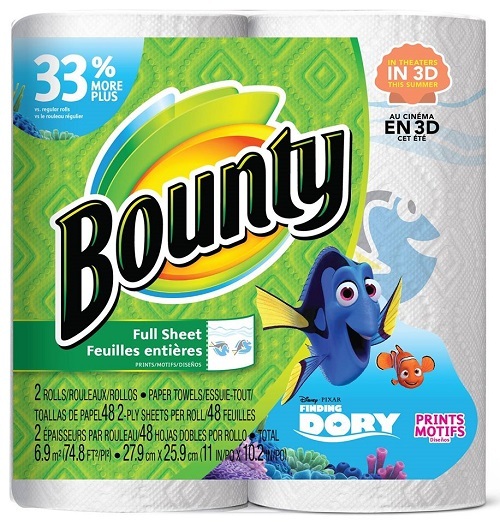 We will have an epic messy breakfast with Bounty and the new limited edition Finding Dory printed paper towels. In case you can’t find any in stores…I bought them all to last me the next 13 years. 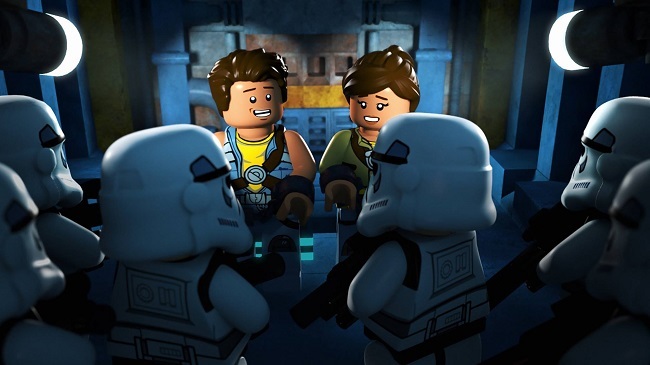 We will get a sneak peek of the new Disney XD series LEGO Star Wars: The Freemaker Adventures (premiering Monday 6/20 at 10 am EST) with Q&A with the executive producers. My 7-year old son is DYING over this new LEGO show! We will also get a sneak peek of the new Disney Channel series Bizaardvark, a live-action comedy of 2 blogging besties (ironic?). Starring Vine sensation Jake Paul as Dirk (host of “Dare Me Bro!”), DeVore Ledridge as Amelia and Ethan Wacker as 12-year-old agent Bernie, we will get a chance to meet the cast, tour the set AND view the production of an upcoming episode. 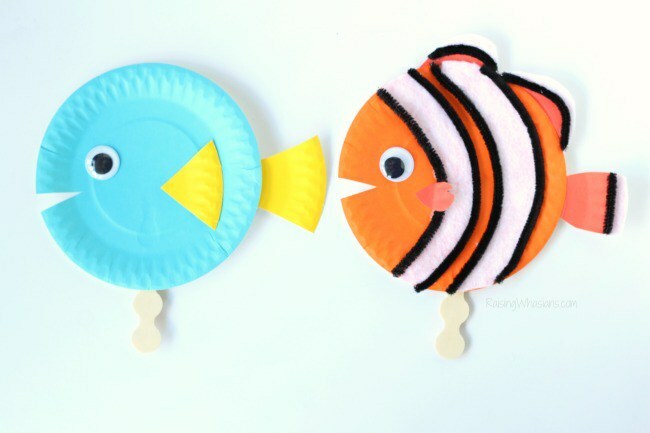 And be sure to check out the latest trailer, download your FREE Finding Dory Kids Printables, and make these adorable Finding Dory Paper Plate Puppets. 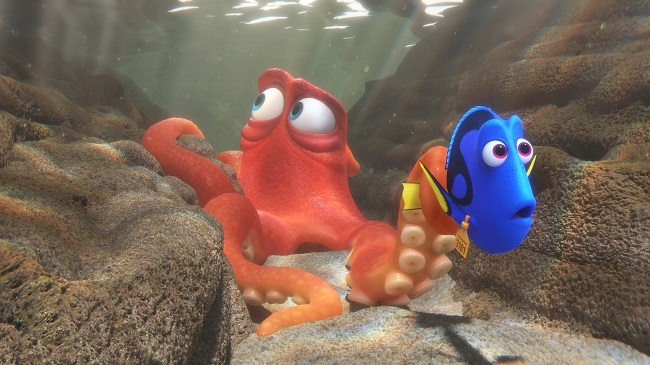 Is your family excited about the new Finding Dory movie? 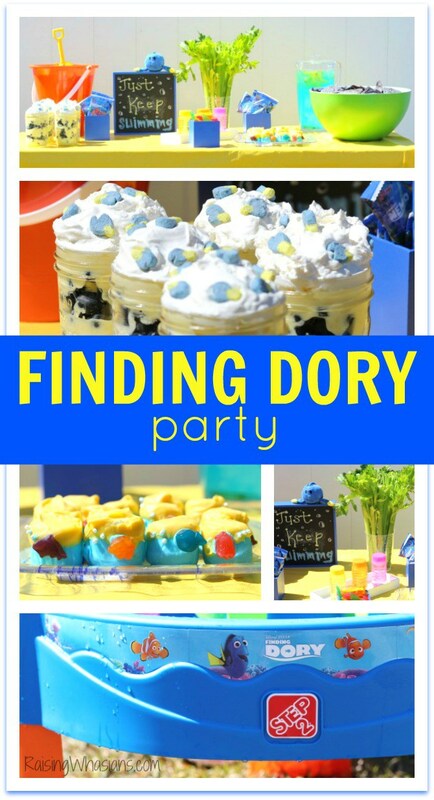 Will you be following along #FindingDoryEvent? Post sponsored by Disney. I am attending an all-inclusive press trip in exchange for this posting. But as you figured out, all exciting Finding Dory Red Carpet excitement is my own. Be sure to follow Raising Whasians via Facebook, Twitter, Google, Instagram, Pinterest and YouTube for more Disney movie updates, travel and exclusive interviews. My kids are so excited for this movie. We will be there opening day! This is going to be such a cute movie. I plan on taking my niece and nephew to see it. I can’t wait to see this myself! I have the preview all scheduled. What a great, fun event this will be! I am actually way more excited about this movie than my kids are! 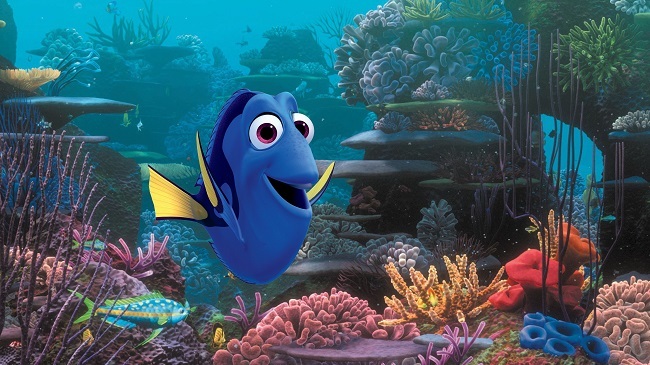 I adore Dory, and cannot wait to see this. What an amazing event, I’m super jealous! Have a blast! Looks like a fantastic time. I really cannot WAIT to see this movie, it has been on my must watch list since I heard about it – which was ages ago! I loved Nemo and can not wait for Dory… have watched the preview soooo many times! I’m not sure who is more excited about this movie…me or my twins! We loved Finding Nemo and are also counting down the days til Finding Dory comes out!!! My two boys are excited to see this movie and I’m sure this is the fun movie for them. My son can’t wait to watch this movie, He’s so excited and I bet this is a great movie for family. This sounds like an exciting event for you! I love the fact that you road that kiddie ride with no kids :). We have been fans every since “Finding Nemo” as well. We are so excited to go see Finding Dory. 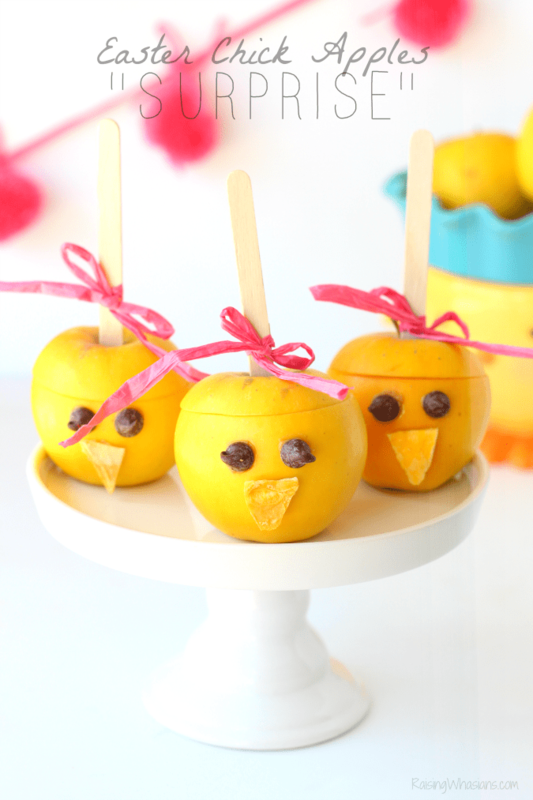 This is a great party idea. My kids would love it. Oh, you are so lucky.I want those party themes! My son will surely like them! 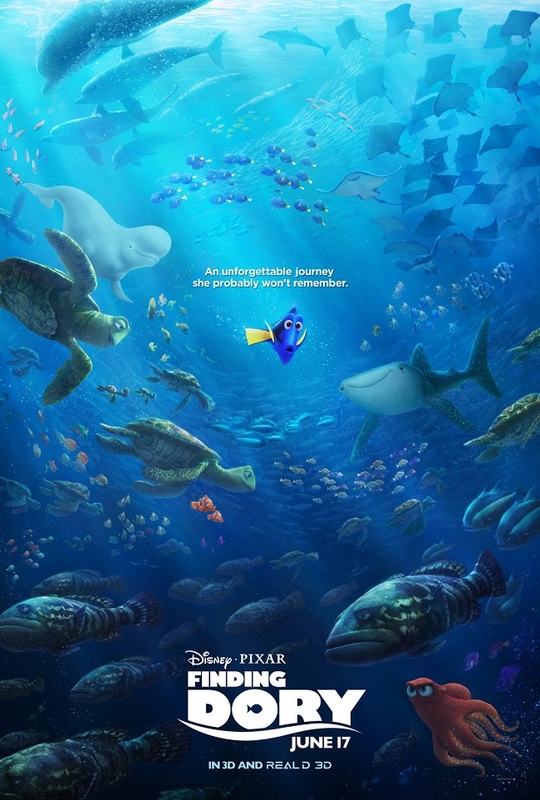 Finding Dory is a movie that is anticipated by all ages. I can’t wait for the premier. 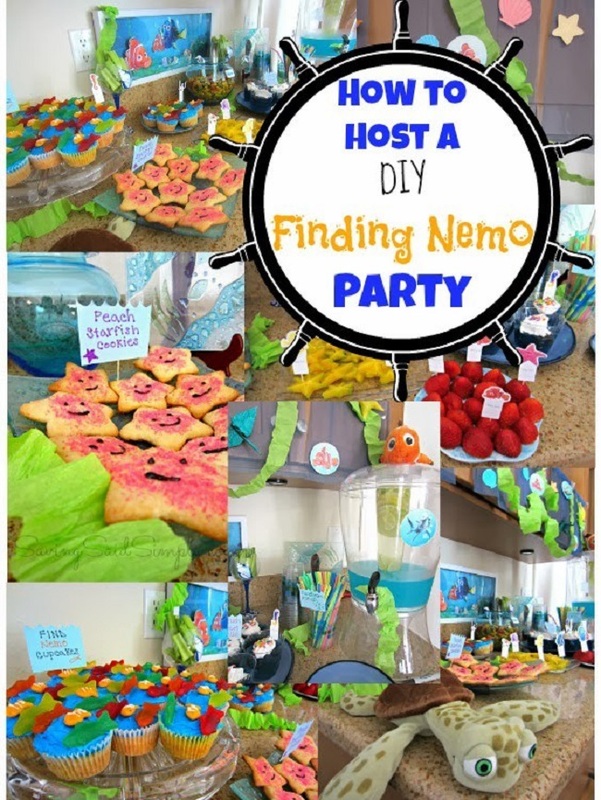 The party ideas and crafts are great!